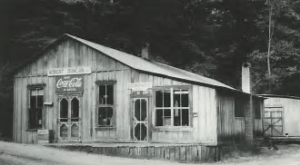 The building which houses the Penland Post Office and, for many years, a general mercantile, was constructed in 1902 by Isaac Bailey, a Confederate Colonel and later NC Senator from Mitchell County. Two years later, Bailey and his wife, Louisa Penland, donated land for what is today Penland School of Crafts. The community of Bailey’s Station thrived in part due to the arrival of the Clinchfield Railroad about the turn of the 20th century. Unfortunately, the great Flood of 1916 destroyed some of the structures along the Toe River. The historic building constructed by Isaac Bailey first housed his Lumber Company and later the Carolina Mercantile and a Store Room for Ladies Dresses owned by Mr. A.C. Tainter. The structure is today on the National Register of Historic Places. 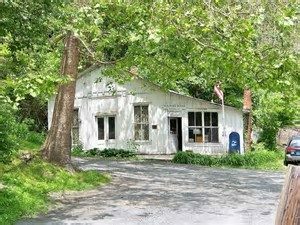 There has been a Mitchell County Post Office at Penland since 1879, on land owned by the Bailey family. Its current location, occupied since 1934, is the “oldest active postal facility in Mitchell County.” There are still fixtures from the original 1879 station; there are original glass, wood, and brass. 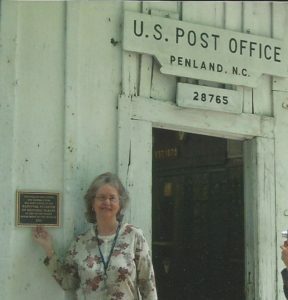 There have been 13 postmasters at Penland; Rebecca Davis has been postmistress since 1980. She is the great-great-granddaughter of Harriet Hensley, who was postmistress in 1887. Harriet also ran a boarding house at Penland, and her husband, Solomon, was a Sheriff of Mitchell County.